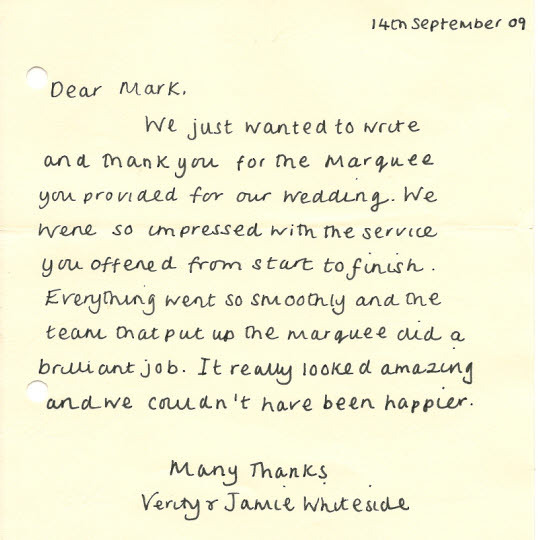 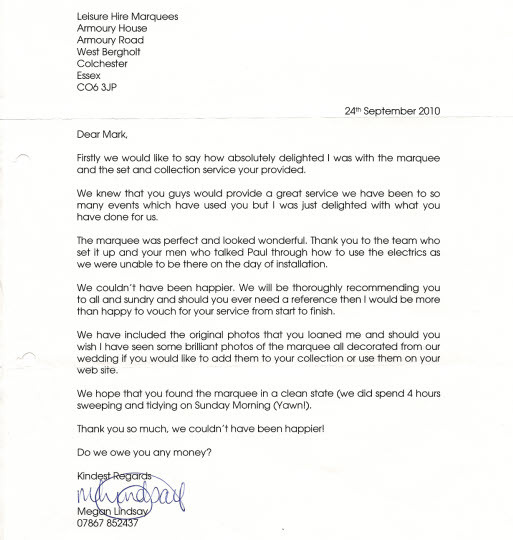 We can adapt our wedding marquee structures to suit your individual needs. 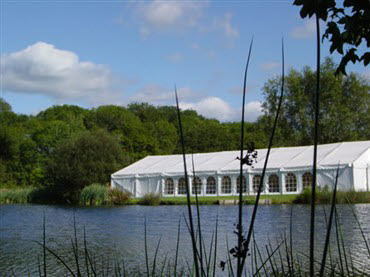 Due to the contemporary design and framework of our modern marquees they are equally suited for large corporate events and exhibitions to stylish weddings and smaller functions where space is at a premium. 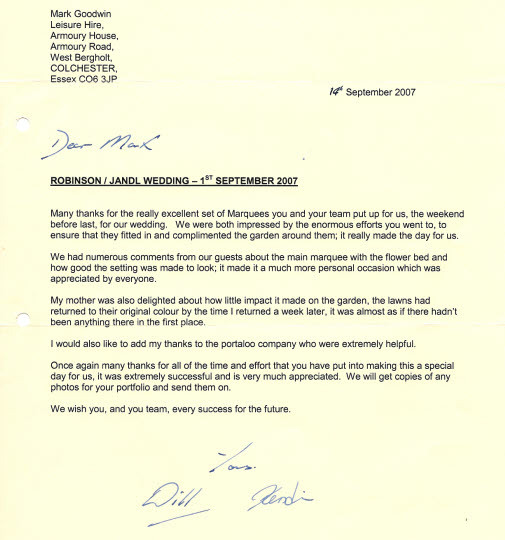 Through our years of experience in supplying marquees for both private and commercial sectors, and the adaptability of our equipment we are, in most circumstances, able to cover almost any possibility from flower borders, small trees and bushes to split levels, steps and slopes. 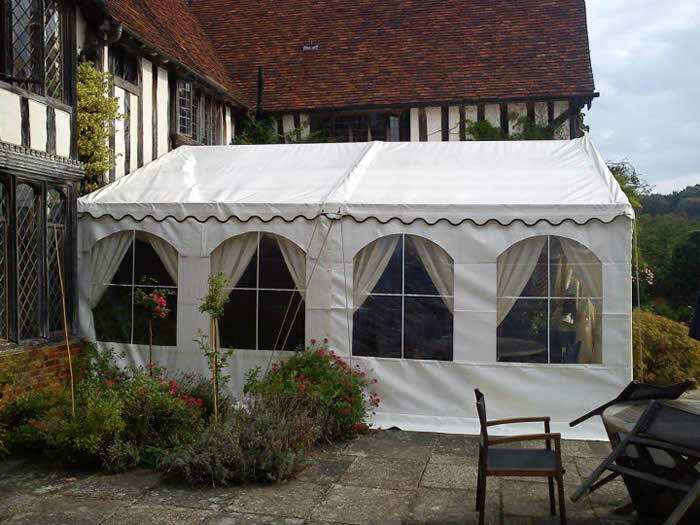 Our versatility is such that we can transform the interior of factories, warehouses, barns and as all our staff can swim we can even erect over swimming pools, thus creating a great party atmosphere around your pool even in the coldest of weather. 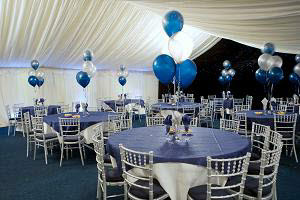 Our marquees are available in two colour schemes, traditional plain white or in a party theme with red, white and blue striped walls. 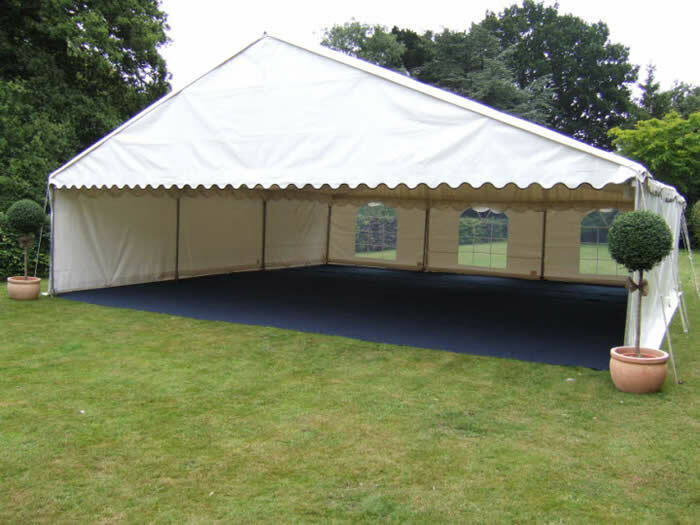 Our marquee range is available in widths of 5ft (1.5mt), 10ft (3mt), 12ft (3.2mt), 20ft (6mt) or 30ft (9mt).